When I attended the Read The Label event by the Pinoy brand, Human Nature, I was so excited. I've heard really good things from the brand and some of the products I've tried have impressed me. But what I was really curious of was their New Mineral Makeup Line. Human Nature prides themselves by using ingredients that are safe for the skin and for the environment. Like most people, I find myself wondering if I could really convert to "good" makeup. I am not a tree-hugger, I love city lifestyle and all its conveniences. Like I said many times over, I appreciate the wonders of chemistry. But if there is a way I can enjoy a makeup sans the bad ingredients, then who am I to say no, right? Human Nature Mineral Makeup line enticed me because their makeup comes in traditional forms. I made a review of their latest eyeshadow palette and I shared there how pleased I am that they provide a pressed palette. Mineral makeup have become a fad but what we didn't know is that some mineral makeup company do not test all their ingredients. I've recently found out the mineral oil, given that it is mineral (so it's natural) was never actually tested by any cosmetic company nor the regulations board of any country. I'm not sure exactly why. But apparently, mineral oil can cause bad skin reactions. Human Nature made sure that every ingredient in their product are safe. To a point that it can even touch a baby's skin. 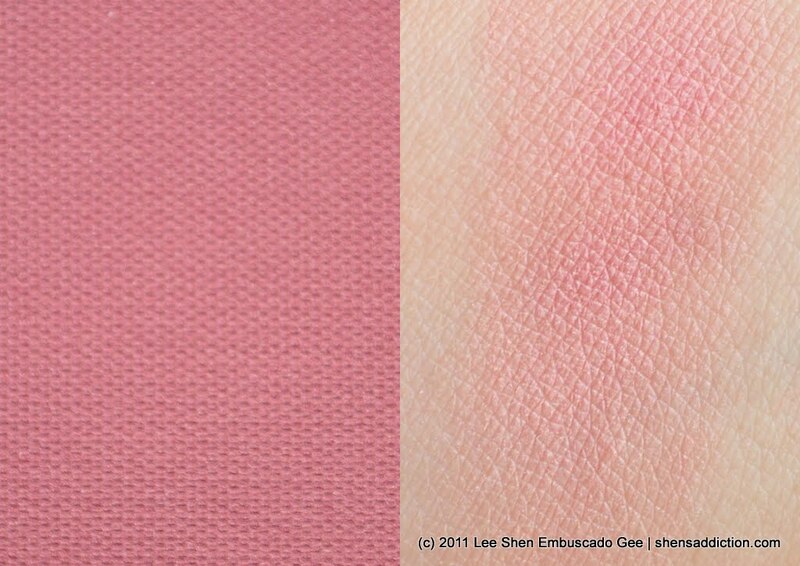 As you can see, the description says that this mineral blush is 100% No Harmful Chemicals. No chemical preservatives, parabens, mineral oil, articifial dyes or other toxic substance. Human Nature makes one think how serious we really are with what we use on our face. Do we really want the best for it or we want to just enjoy the immediate perks of cosmetics? Right off the bat, I wasn't all too happy with the pigmentation when I swatched it. The texture is a little bit chalky. But do I hate it? No, I don't. With a nice synthetic brush, I use my Henri Calayag face brush, the color immediately transfer on to the cheeks. And contrary to the swatching, it is pigmented enough. I've used this on several occasions and it gives a really nice flush. Very au naturelle. 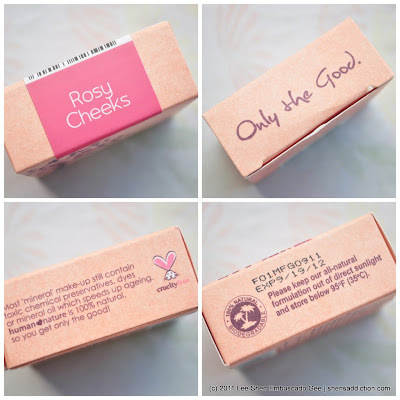 With my fair to medium skintone, it appears as if I do have as the name suggests, Rosy Cheeks. With the brush, the powder isn't chalky at all. It even have a nice clean scent to it. 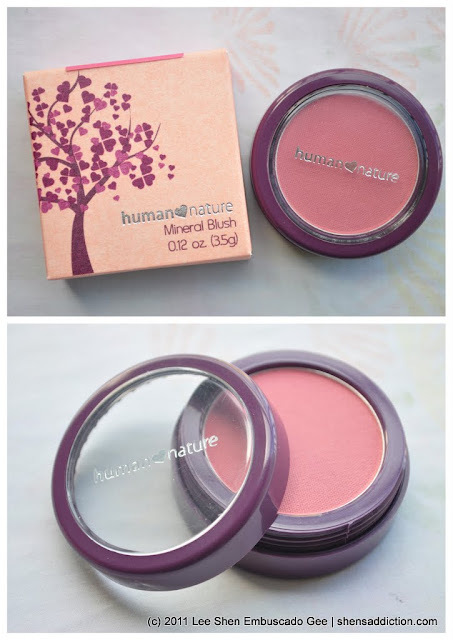 By and by, I am okay with the Human Nature Mineral Blush in Rosy Cheeks. It's probably one of the safest makeup out there in the market and quality wasn't too compromised. Yes, I am pretty shocked to find this out myself. You know me as the girl who tried different types of makeup and I am used to products that are really pigmented and easy to work with. I'm glad that this mineral blush doesn't disappoint. Many women like me (who are addicted to makeup), wants a product that delivers more than it's packaging or the price. 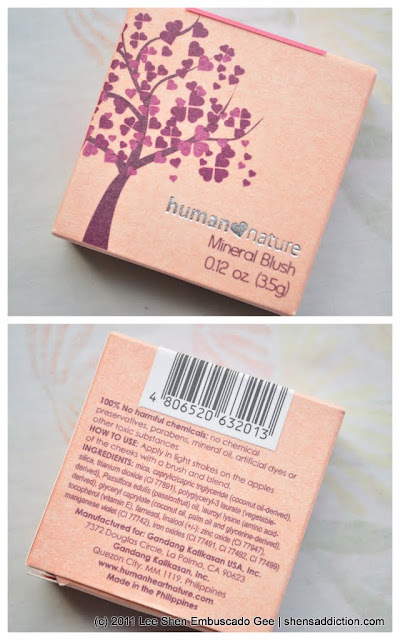 Happy to say that Human Nature Mineral Blush is a good alternative. It's pressed means no mess! Proudly made in the Philippines!! There is stamp at the back of the blush palette that shows the expiry date. This is really just for achieving a natural makeup look. Use a synthetic brush as it grabs more color and transfer them all to your cheeks so you don't need to work too much on building the color. 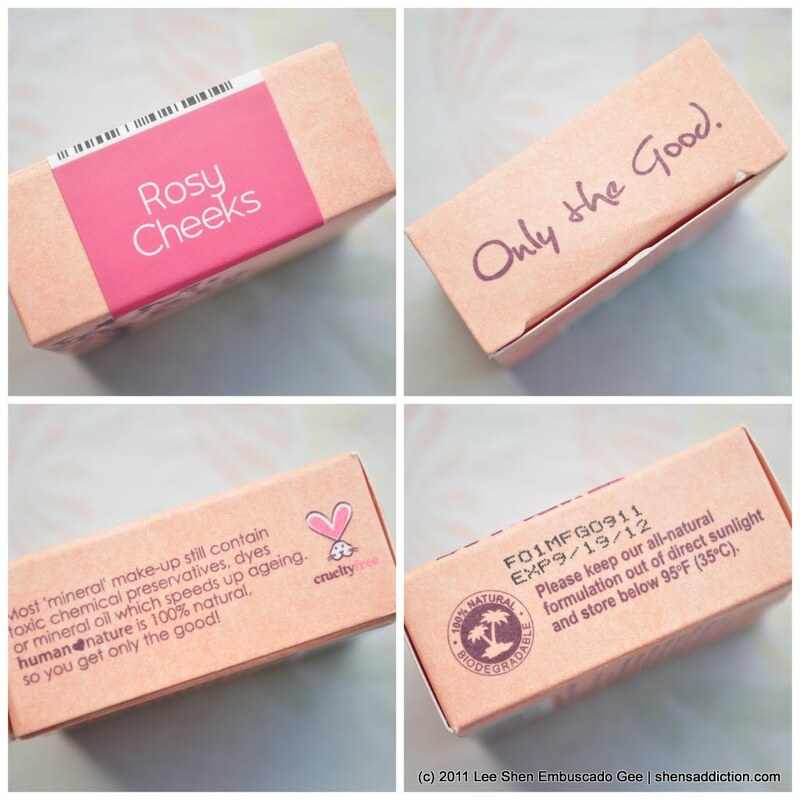 I love the Rosy Cheeks shade since it similar to how I naturally blush. It's also matte so it doesn't enhance my skin's oiliness. 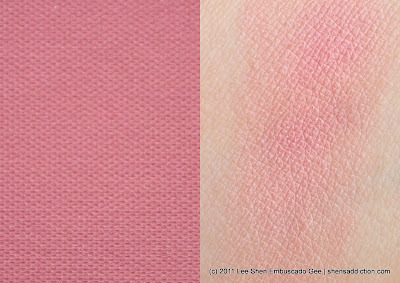 Overall, I like this blush but I don't think I'd be a convert just yet. I still love my traditional cosmetics and would continue using it. Maybe when epiphany or motherhood hits me, I'd be more conscious with using safer cosmetics. Until then, I'm glad this one is in my stash. This would have a place in my makeup kit since the packaging makes it travel-friendly. 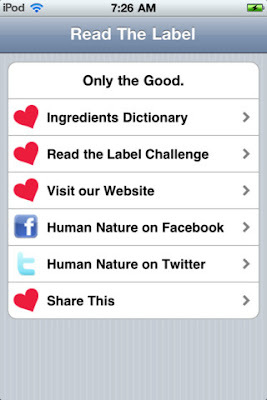 They also launched their Read The Label app on Iphone, which is dictionary of ingredients that tells you whethere an ingredient is safe or not. Check the labels before you purchase makeup to ensure that whatever touches your skin is indeed safe. Download app here or just type Read The Label on the Search tab of your Apple App Store. How about you? Are you thinking of switching to safer makeup? Are you conscious with what's in your cosmetics? You can purchase Human Nature Mineral Blush at their website, click here. 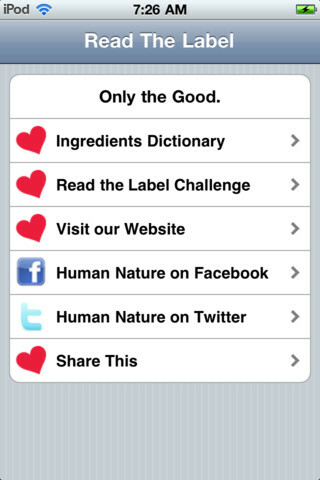 To know more about the brand, visit their Facebook page: www.facebook.com/humanheartnature. the swatch definitely looks natural flush and it's great that it doesn't have shimmer. will check this out!! Hi Shen, it was wonderful of you to come to our event even on such a busy Friday. :) Thank you for sharing your Read the Label experience! Let's hope more people make better and safer choices when it comes to buying makeup and personal care. i have the petal bloom which i bought early this year and it has this weird smell. I can't describe the scent but because of it i was not able to use it. the smell is too strong that even if i appl y powder on top of it i can still smell it. hopefully that the new releases doesn't have this.